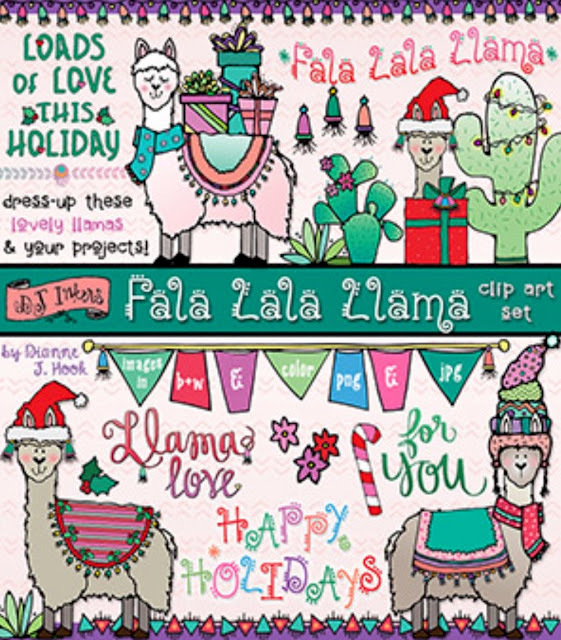 Teaching Blog Round Up: 12 days of Giving from DJ Inkers & KFUNdamentals! 12 days of Giving from DJ Inkers & KFUNdamentals! Scroll down for the FREE set Give-away! Get ready for DJ Inker’s annual 12 Holly Daze SALE!!! on Saturday December 1, 2018. 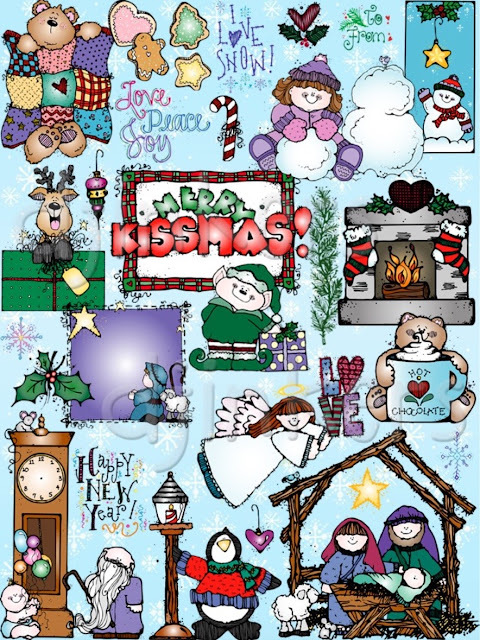 But remember… each holly day lasts for just 24 hours! That is why I use their clipart and fonts so often. to see the entire set and grab one for yourself. 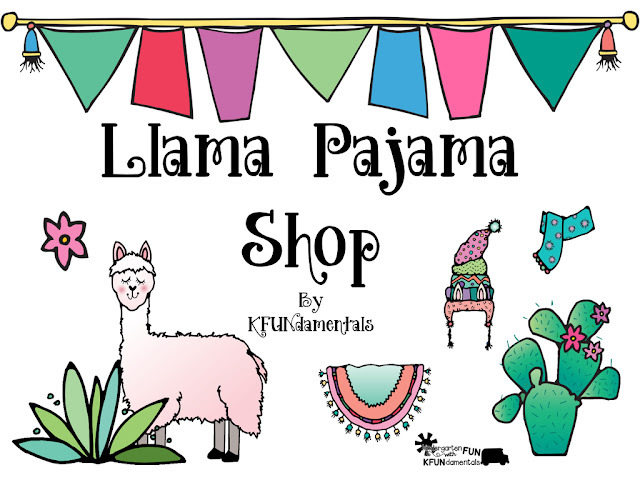 It's called The Llama Pajama Shop and students get to "buy" the parts to help their llama get dressed for bed. Click the image above to see the set. 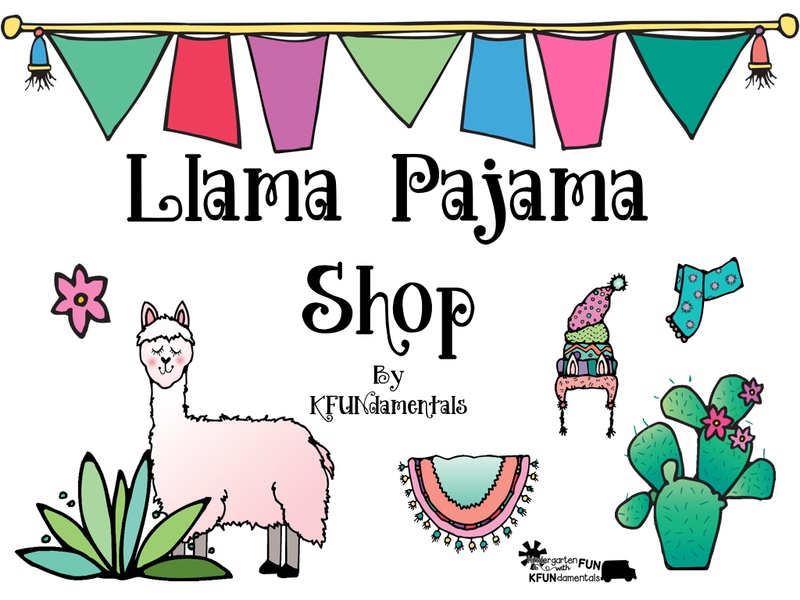 Now, we all know that llamas don't wear pajamas, but they can wear warm blankets, cuddly scarves, and soft nightcaps. And they might also like toys like a stuffed cactus, an aloe plant, or just some surprise presents. I also included some decorations like flowers and tassels! Just follow the easy directions and your students will be "shopping" and using their mental math, problem solving, and decision making skills! Click the image above for more info about this set from DJ Inkers. Humpty Dumpty Sight Words: Too much FUN!! !